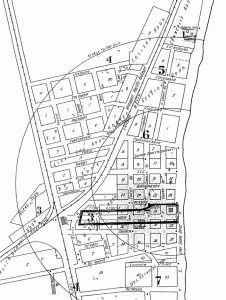 For two decades after its incorporation in 1898, Lake Village never bothered to officially name its streets. 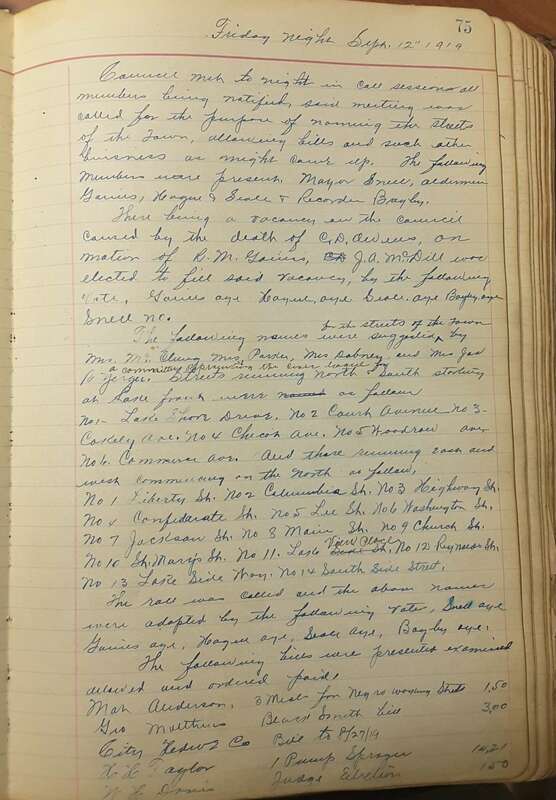 Only a few streets, like Main St., likely had agreed upon names until 1919. 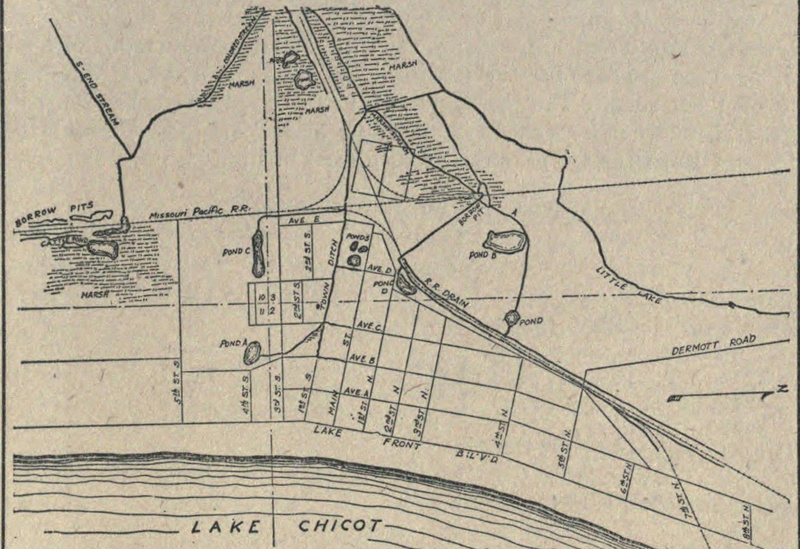 Lake Village has served as Chicot County’s seat since 1857. Platted in 1856, Lake Village’s unnamed streets were identified as 40 foot wide and only the “Lake Front” received anything resembling a name. Main St. seems to be such by 1908, but outside the business district streets didn’t seem to have official names. 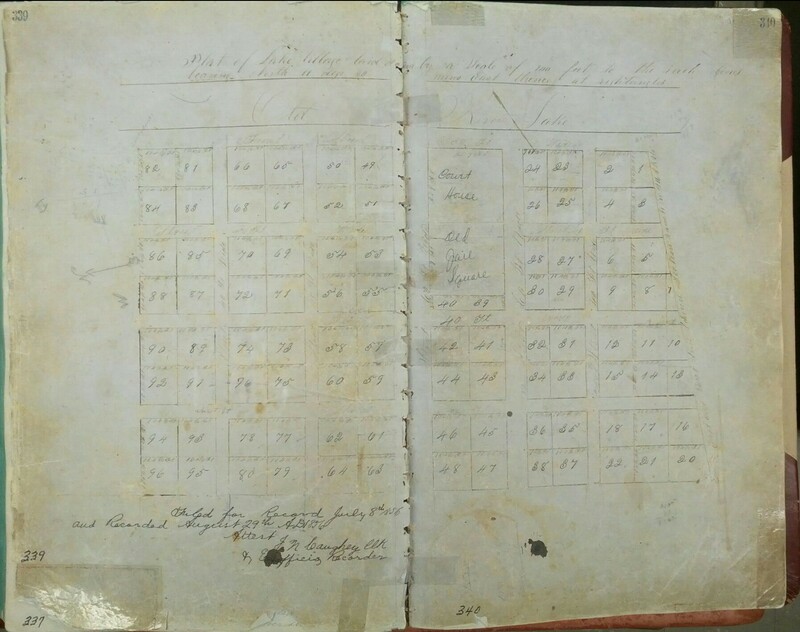 1856 Plat of Lake Village, Deed Book H, pg 339-40, Chicot County Courthouse. 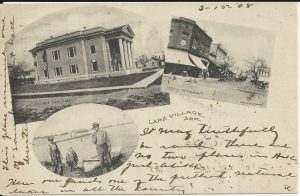 When Lake Village incorporated in 1898, it was just a hamlet of 250 people. This 1908 Post Card identifies Main St. 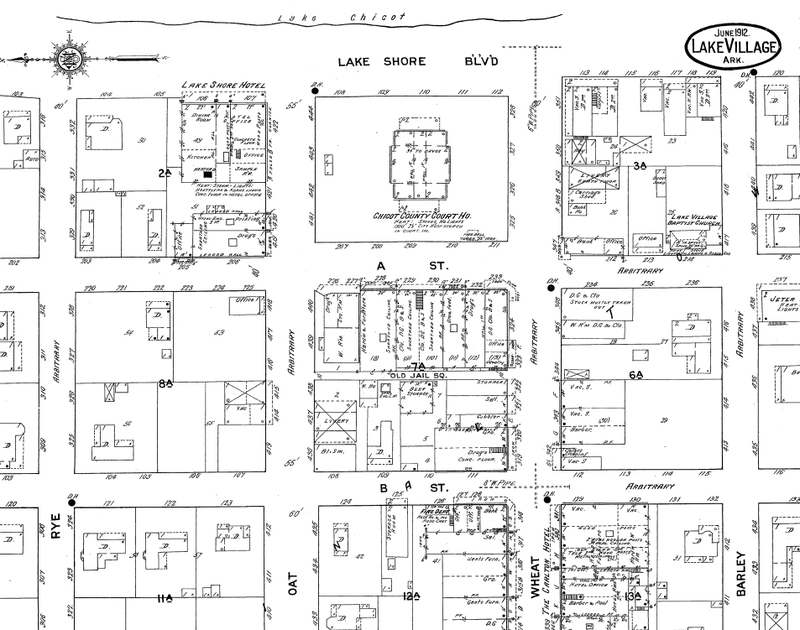 The 1912 Sanborn fire insurance map labeled most of Lake Village’s city streets, but those names are qualified as “arbitrary”–that is made up by Sanborn. 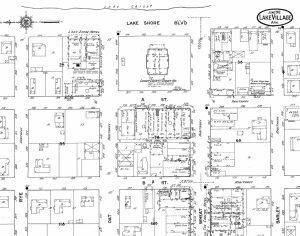 By 1917, Sanborn still listed arbitrary street names with a few semi-official names: (E-W) Orleans, and Memphis; (N-S) Lake Shore Blvd, Chicago Blvd, Hamburg, Duval, and Bruce. Early Sanborn Fire Insurance Maps list most street names as “arbitrary.”, June 1912, Lake Village, Sheet 1. 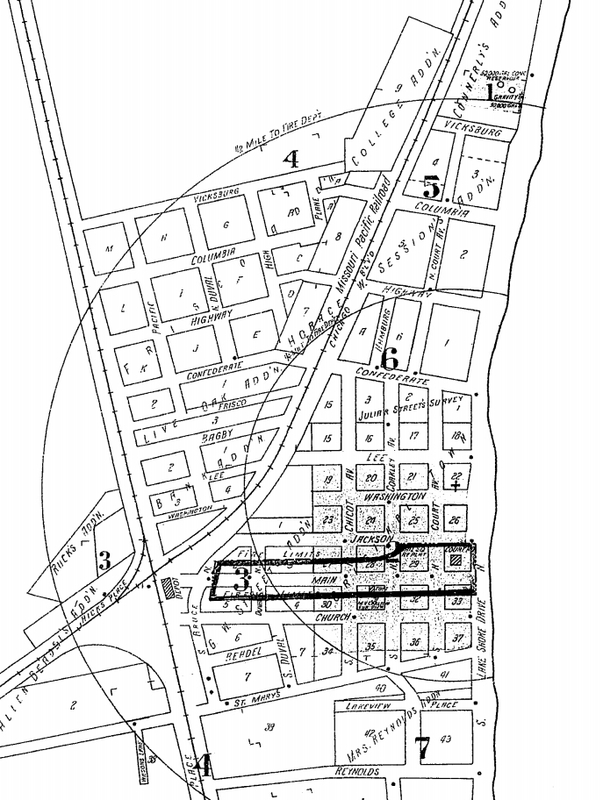 Naming of Lake Village’s streets in 1919 coincided with the rise of cars and paving of roads. The Arkansas-Louisiana Highway, which connected Louisiana with Eudora, Lake Village and McGehee, was paved between 1919 and 1922. 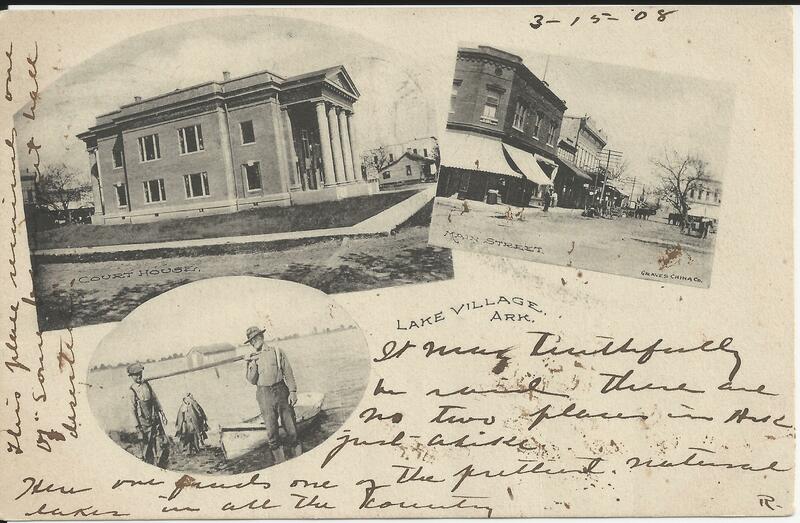 Lake Village City Council on September 12, 1919, acting upon the advice of a civic league committee, voted to officially name the city’s streets. Council met tonight in call session[;] all members being notified, said meeting was called for the purpose of naming the streets of the town…The following members were present. Mayor Snell, Alderman Gaines, Houge & Seale & Recorder Bagby. No 1. 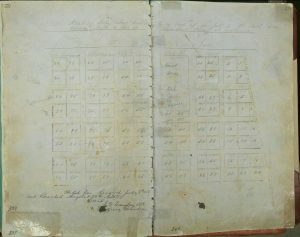 Liberty St. No 2 Columbia St. No 3 Highway St. No 4 Confederate St. No 5 Lee St. No 6 Washington St. No 6 Jackson St. No 8 Main St N 9 Church St. No 10 St. Mary’s St. No 11 Lake View Place. No 12 Reynolds St. No 13 Lake Side Way. No 13 South Side Street. The roll was called and the above names were adopted by the following votes, Snell aye, Gaines aye, Hogue aye Seale aye, Bagby aye. 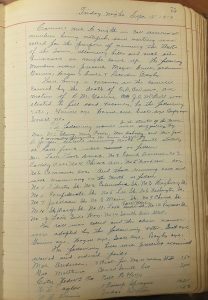 Lake Village City Council Minutes, September 12, 1919, Lake Village City Record Book 3, Lake Village City Hall. 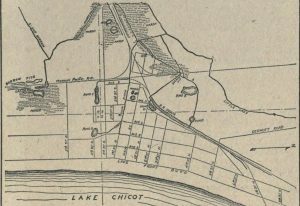 The 1928 Sanborn maps reflect most of the familiar names for Lake Village today. The 1928 Sanborn map shows many familiar street names, Sheet 1 of 1928 Sanborn Map.